Non-slip ruler for cutting, squaring & setting large blocks & triangles. Set the most popular size quilt blocks on point. Measurements are printed on the ruler for squares needed to cut side and corner triangles - no more math! 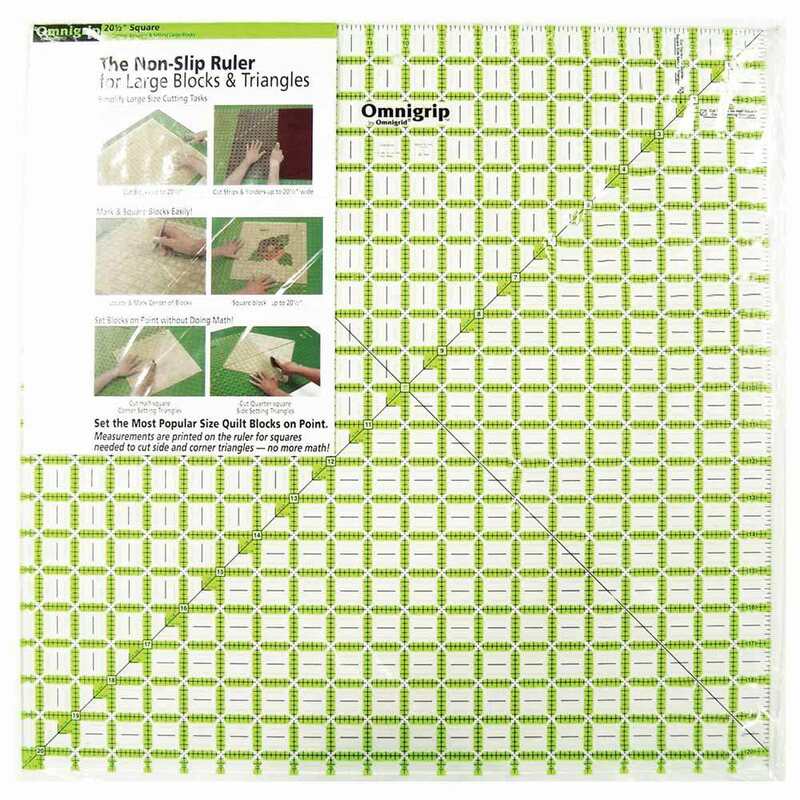 Cut half-square, corner setting triangles and quarter-square, side setting triangles with ease. Transparent, neon green double-sight lines that seem to glow on both light and dark fabrics.. Non-slip backing.